The argument that this technology can solve the problem of world hunger, or be a tool towards ending hunger, is compelling but false. 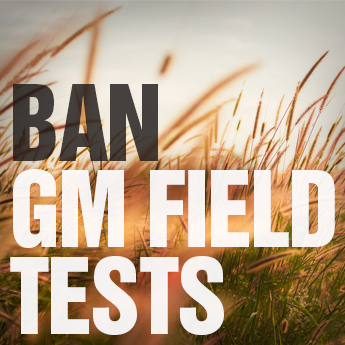 Experience with GM crops shows that the application of GM technology is more likely to enhance and entrench the social, economic and environmental problems created by industrial agriculture and corporate control. Seeds of Neo-Colonialism – Why the GMO promoters get it so wrong about Africa. Statement by the Alliance for Food Sovereignty in Africa, May 2018. 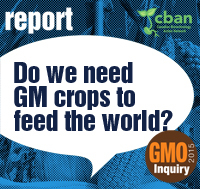 “Do We Need GM Crops to Feed the World?” Report, CBAN’s GMO Inquiry, 2015. CBAN’s information and updates on GM cotton in Africa and India. Non-governmental and farmer organisations from South Africa, Tanzania, Mozambique, Kenya and Uganda condemned the decision by the South African government to allow Monsanto to commercially sell its genetically modified “drought tolerant” maize seed. According to the groups, there is no evidence showing that the drought tolerant trait even works. 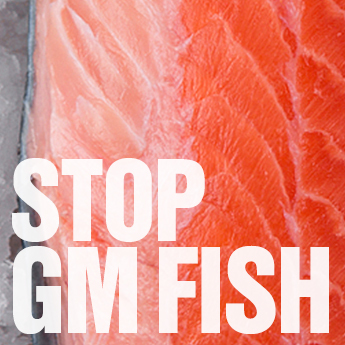 “GMOs: Fooling – er, “feeding” – the world for 20 years” by GRAIN. May 2013. 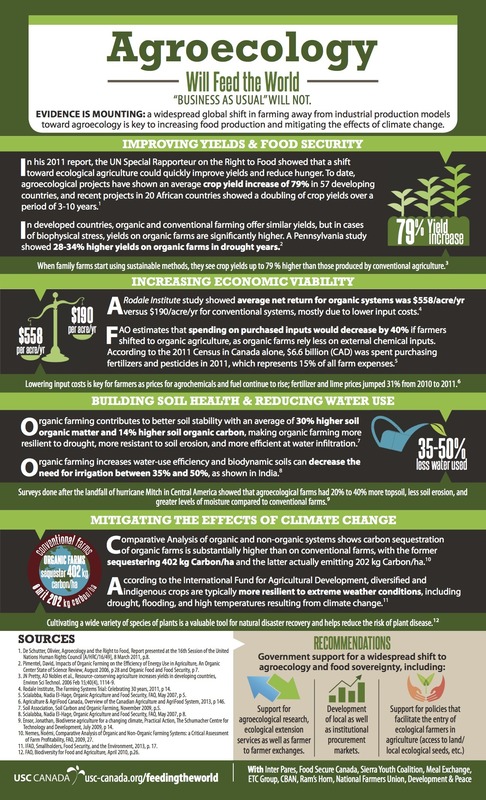 Debunks the myths summarized in five points: GMOs will feed the world; GMOs are more productive; they will eliminate the use of agrochemicals; they can coexist with other crops; and GMOs are perfectly safe for humans and the environment. Why GM Crops Will Not Feed the World by Bill Freese (Centre for Food Safety), GeneWatch. Jan/Feb 2009. Ten Reasons Why Biotechnology Will Not Ensure Food Security, Protect the Environment and Reduce Poverty in the Developing World. Miguel A. Altieri & Peter Rosset, AgBioForum, Volume 2, Number 3 & 4, 1999. “Seeking a technological food fix for world hunger may be the most commercially malevolent wild goose chase of the new century.“- Dr Richard Horton, editor of The Lancet. See this and other quotes across the years. The International Assessment of Agricultural Knowledge, Science and Technology for Development (IAASTD) asked how agricultural practices and policies can reduce hunger and poverty, improve health and rural livelihoods, and lead to fair and sustainable development around the world. The IAASTD identifies policy, research and investment options to transition towards more sustainable food and agricultural systems in future. The Assessment was conducted by over 400 scientists and development experts from more than 80 countries. It was sponsored by four United Nations agencies, the World Bank and the Global Environment Facility. The IAASTD findings were approved at an Intergovernmental Plenary in April 2008 and published in 2009. 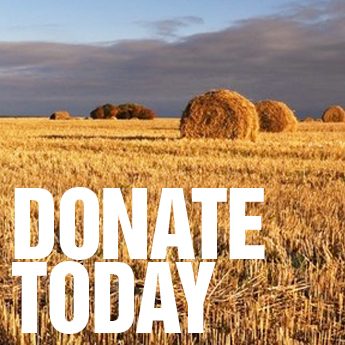 Click here for the brochure of findings and recommendations for future farming. Peasants are the main or sole food providers to more than 70% of the world’s people and peasants produce this food with less (often much less) than 25% of the resources – including land, water, fossil fuels – used to get all of the world’s food to the table. The Industrial Food Chain uses at least 75% of the world’s agricultural resources and is a major source of GHG emissions, but provides food to less than 30% of the world’s people. Peasants breed and nurture 40 livestock species and almost 8000 breeds. Peasants also breed 5000 domesticated crops and have donated more than 1.9 million plant varieties to the world’s gene banks. Peasant fishers harvest and protect more than 15,000 freshwater species. The work of peasants and pastoralists maintaining soil fertility is 18 times more valuable than the synthetic fertilizers provided by the seven largest corporations. There are 1.5 billion on 380 million farms; 800 million more growing urban gardens; 410 million gathering the hidden harvest of our forests and savannas; 190 million pastoralists and well over 100 million peasant fishers. At least 370 million of these are also indigenous peoples. Together these peasants make up almost half the world’s peoples and they grow more than 70% of the world’s food. Better than anyone else, they feed the hungry. If we are to eat in 2050 we will need all of them and all of their diversity. 90% of the 525 million farms in the world are still less than 2 hectares in size and occupy 60% of global arable land. 1.4 billion people still eat from farmer saved seed. 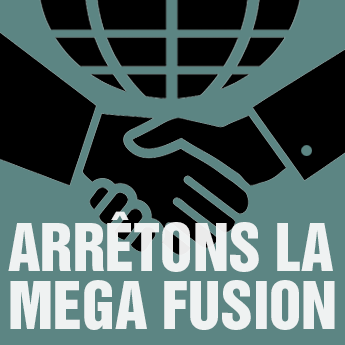 – From Gene Giants Seek “Philanthrogopoly”, ETC Group, March 2013. 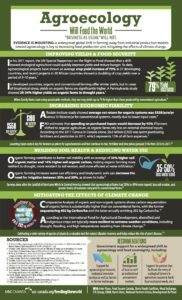 10 Reasons Why Organic Can Feed the World, Ed Hamer and Mark Anslow, The Ecologist, 2008. How to Feed Billion on a Small Planet. November 19, 2013: A webcast featuring Miguel Altieri from the University of California (Berkeley) – a widely published, leading authority on agroecology – speaking about ecological agriculture as a key solution to food insecurity, hunger, and climate change. How to Feed 9 billion on a Small Planet: watch the Youtube presentation and discussion. Agroecology Will Feed the World. 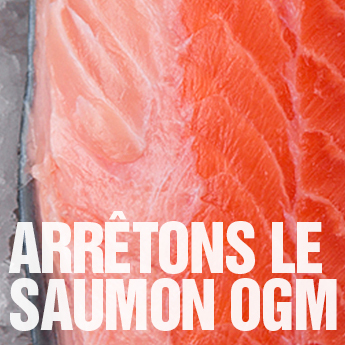 Infographic. Growing evidence shows that agroecology will feed the world. Business as usual will not.